The Decision is yours and yours alone. You will not be able to blame others. You won’t be able to blame your life’s circumstances. Life is too short for you to procrastinate. Make the decision to ask God to forgive you of your sins. Ask Jesus to help you be clean. He is faithful and just to forgive your sins… all of them (1 John 1:9). Jesus can decontaminate from all the wrongs you have done and all the sins you have committed. Don’t wait. Timing is everything! 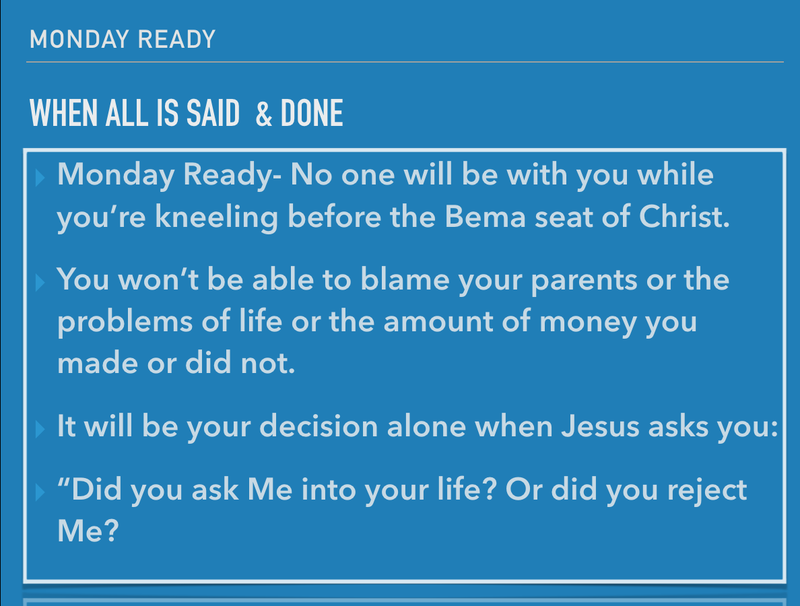 The Bema (judgement) seat of Christ is merciful if you just ask.